I found a pair of false teeth on the ground. I looked around to see if anyone was looking for them. That’s when I saw the owl up in the tree looking back at me. The owl had no expression on its face. I picked up the set of teeth and tossed them up in the air. 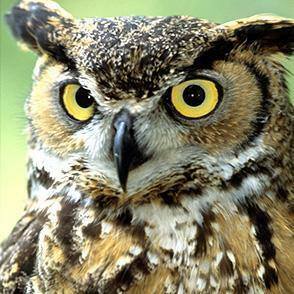 The owl alit from the tree, flew towards the teeth, and opened its mouth, catching the teeth. The owl flew back to the tree. The owl looked at me and smiled.